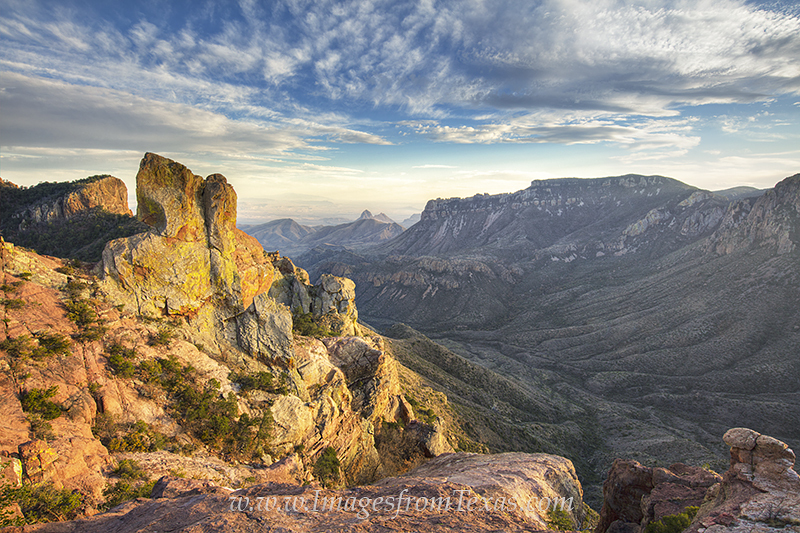 With the last light of day shining on the rocky summit of the Lost Mine Trail and Peak, Juniper Canyon and the South Rim of Big Bend National Park can be seen in the distance. These peaks make up the Chisos Mountains as they rise out of the dry Chihuahuan Desert below. This image was taken and the end of a perfect March evening. The sunset that would follow was spectacular. Photo © copyright by Rob Greebon.